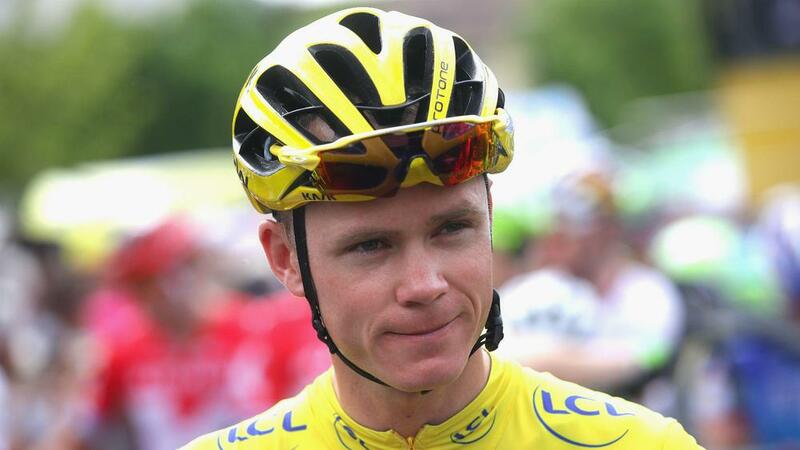 Chris Froome was formally crowned the Tour de France general classification winner for a third time at the conclusion of Sunday's procession to Paris. The Kenyan-born British rider enjoyed the final 113km ride from Chantilly to Paris as champion elect, having finished the penultimate stage with a lead of four minutes and five seconds, despite having suffered a minor crash a day earlier. The 31-year-old Team Sky rider retained the crown he won last year and added to his 2013 triumph to become just the eighth rider to claim three or more yellow jerseys in the history of the most prestigious of the Grand Tours. Excluding the disgraced Lance Armstrong, whose results were stricken from the record, the last rider to retain the Tour de France GC title was Spaniard Miguel Indurain in 1995. AG2R La Mondiale's French rider Romain Bardet was second behind Froome, followed by Colombian Nairo Quintana of Movistar, who won the team classification ahead of Sky. Slovak Peter Sagan (Tinkoff), who benefited from the withdrawal of sprint rival Mark Cavendish, enjoyed a similarly serene final day to confirm his fifth successive points classification triumph. Britain's 23-year-old Adam Yates of Orica-BikeExchange wrapped up the young rider classification, Pole Rafal Majka (Tinkoff) having already secured his status as 2016's best climber. Plenty of credit for Froome's victory must go to his team and metronomic support riders. Sky, managed by former British Cycling mastermind David Brailsford, have now produced four of the last five Tour de France winners, starting with Bradley Wiggins in 2012, a run broken only by Vincenzo Nibali's 2014 victory, Froome having been forced to withdraw from that race due to injury following a crash. Sunday's final stage was won by Andre Greipel of Lotto-Soudal.